Interesting real estate market lately. Local homes are selling at prices close to those of the bubble years, but realtors are still having a hard time finding willing sellers? Ask any Burbank agent about the biggest problem in the industry right now and they'll say, "low inventory". Agents are calling one another asking for a heads up should any new listings come up. 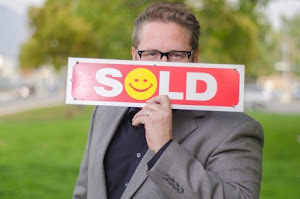 Realtors know once their buyers feel frustrated, it's only a matter of time before they either end their search, or move along to try their luck with the next realtor. Bottom line is its a great time to sell right now. Waiting may not result in the end of the world, but things will change once interest rates or inventory levels begin to rise. Many would be sellers complained after the housing bubble burst about how they missed their opportunity. They may be missing it again.